Emilie and Albert Friedrich Wilderness Park features 600 acres of undeveloped Hill Country terrain, with over 10 miles of paved and unpaved trails. Trails are graded at varying difficulties, including wheelchair accessible segments. 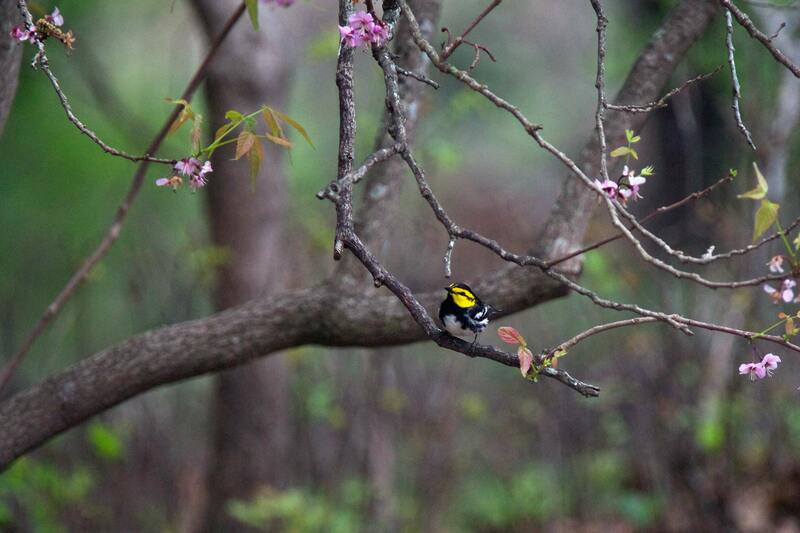 The park is home to two federally-listed endangered songbirds—the Golden-cheeked Warbler and the Black-capped Vireo. We appreciate your support in keeping the wilderness a pristine natural area. NOTICE: No animals of any kind, except services animals, are permitted entry to Friedrich Wilderness Park or Crownridge Canyon Natural Area. Leashed dogs may be taken to Eisenhower Park and Hardberger Park. 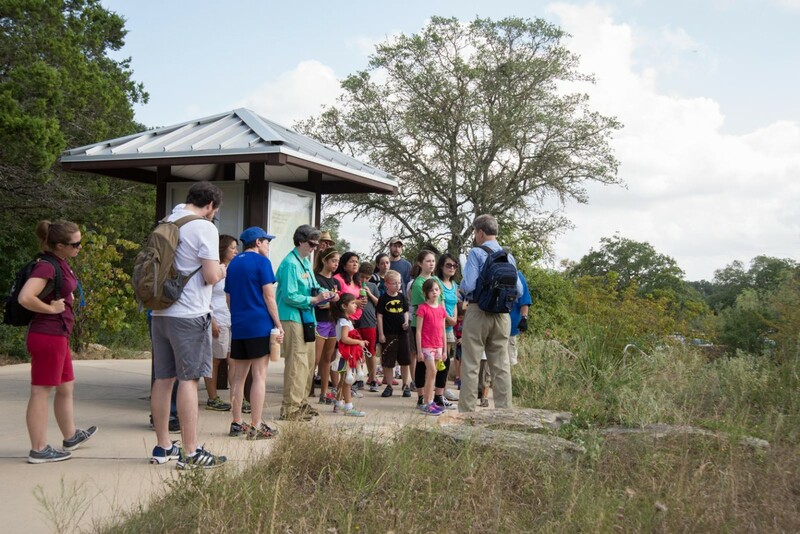 The trails of Friedrich Wilderness Park offer a wide range of hiking experiences and levels of challenge from Level One handicap accessible to Level Four difficulty. The only access to the park; an easy paved winding path of 0.27 mile through woodlands, leading to all the lower east side trails. This entire trail complex is Level One Access. An easy series of three short paved loops covering about 0.4 mile, touring through woodlands and grasslands. This entire trail complex is Level One Access. Some of the fields have been intentionally cleared to recreate small prairie environments and allow natural succession to occur. About 0.6 mile of easy trail through scrubby woodlands dominated by juniper with small pockets of grasslands. The upper portion is level and rated Level Three Access. The lower portion is rolling, with short rock ledges and rated Level Four Access. 0.35 mile of easy to somewhat rough trail, highlighted by one of the oldest working windmills in Bexar County, an intermittent creek, and large, wet season spring. The north leg to the windmill is rated Level Three Access. The remainder of the trail is rated Level Four Access. *All trails to the west of the initial entry portion of Main Loop and the Water Trail have steep rocky sections which can be slippery when wet and very hot from May through October. Good footwear should be worn and water carried when accessing all the following trails. About 1.7 miles of trail through diverse habitats, climbing 350 feet in elevation to the tops of the hills. Most of the original trails are accessed from the Main Loop. Lower portions are relatively level and rated Level Three Access. The north and south ascents of the hill are steep and rated Level Four Access. Upper Main Loop is the path leading to all the upper and west side trails. This portion of the trail provides good views to the east and southeast across IH-10, but provides no shade. 0.8 mile of easy to rugged trail, rated Level Four Access. In the north, it originates at the junction of Fern Del and Bosque Trails, then climbs to the crest of the ridge which divides Friedrich into its east and west valleys. The upper straight portion of the trail parallels an old stone fence which runs north-south along the highest part of Friedrich en route to its south connection with Main Loop. Much of the trail follows narrow rock ledges along the edges of the canyons. This trail passes through live oak-juniper woodlands pocketed with lacey oak, red oak, cherry, and walnut. Note: this trail can be particularly challenging due to steep rock faces. A short, 0.1 mile, level trail through enchanting open deciduous forest connecting the Main Loop with the Vista Loop. This trail passes through a nice stand of Texas persimmons and cedar elms. About 0.15 mile of rugged, steep trail. This trail transects a fragile canyon featuring escarpment black cherry, lacey, and red oak trees. The elevation change is about 200 feet. The same environments and trail conditions as Vista Loop Trail are found here. This trail is rated Level Four Access. 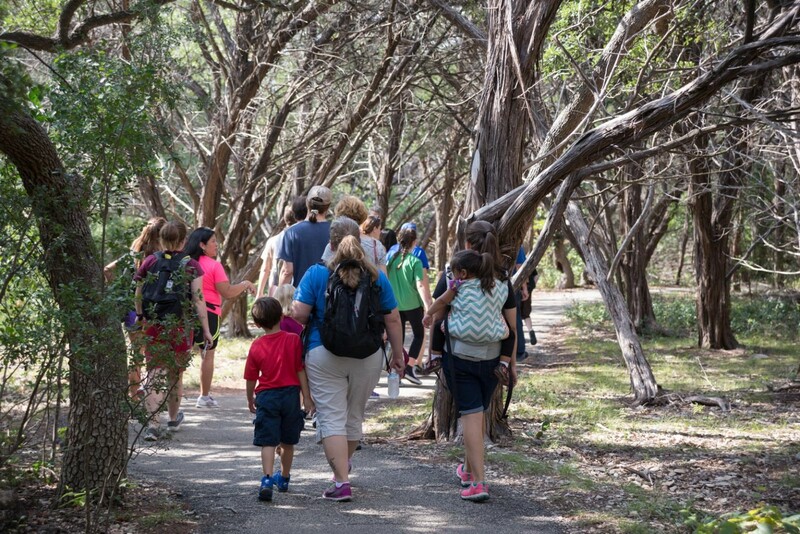 The following trails were all paid for with a Texas Parks and Wildlife Grant obtained by and co-funded by Friends of San Antonio Natural Areas and completed in 2016. The trails were built with significant volunteer effort and were specifically designed to facilitate sustainability, following natural contour lines. A short, 0.15 mile, relatively level trail connecting Main Loop with Vista Loop via Fern Del. This trail follows a ridgeline that separates juniper and deciduous woods and is well sheltered from sun. It was named for a very old Ashe juniper. A 0.6 mile trail traversing mixed deciduous woodlands, a savannah restoration, and two canyons. Mid-way it has an S segment that passes through a beautiful glade, reminiscent of eastern woods. At either end you will pass through the old north perimeter fence of the original Friedrich land donation. The trail name takes its name from the Spanish word for woodlands or forest. The longest single path in Friedrich, 2.9 miles, connects at both ends with Vista Loop. Much of the land through which Restoration Way passes was once destined to be a golf resort. Active restoration management is transforming fairways into savannahs and re-connecting divided woodlands. Note: do not take Restoration Way without water—at its furthest reach you will be three miles from the park entry. If after entering either end of Restoration Way you need a shorter path out of the park but don’t want to turn around, the Mill Pass-Encino Pass path will shorten the loop by more than a mile. A short, 0.3 mile level trail connecting the northwest and southeast sections of Restoration Way. This trail passes along the west valley floor through open deciduous woods and is well sheltered from sun. It also provides a bypass of the western most mile of Restoration Way and displays the old retired windmill for which it is named. A 0.35 mile switchback trail between Restoration Way and Mill Pass, this route is more sun exposed than west Restoration Way and Mill Pass. Encino Pass winds through oak-juniper woodlands, along canyon edges, and through meadows of native grasses and forbs. This trail climbs close to the top of the highest hill in the park. Pets, alcohol, bikes, and loud music are not allowed.